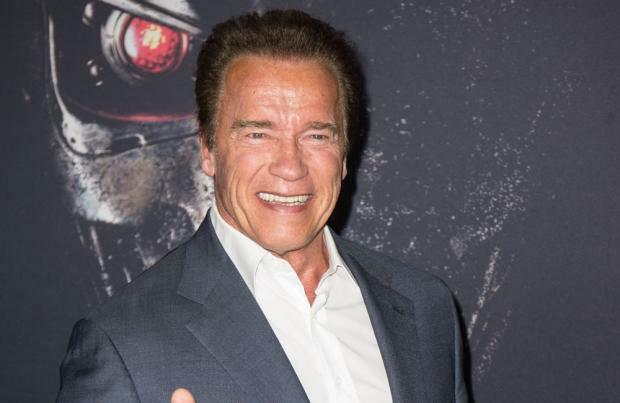 Arnold Schwarzenegger felt 'Terminator: Dark Fate' was in "good hands" with both James Cameron and Tim Miller working on it. The upcoming sequel's lead star has revealed that series co-creator Cameron had a big say in the film's scenes alongside Miller, its director, and Schwarzenegger really liked their "big collaboration". He said: "He does get involved in the filming so there were interesting discussions about which direction to go with a certain scene or how the dialogue should finish or what the certain look should be of an individual and all that stuff so there was a big collaboration between Jim and Tim Miller. I feel it was in good hands with both of them." Schwarzenegger was also excited about working with Miller and says he was a "pleasure to work with" and praised his ability to direct all the actors – both young and old. He added to The Arnold Fans: "The director, Tim Miller, was very, very talented and I can see why his movie, 'Deadpool', made so much money and why it was successful because he's very organised. He's an expert with visual effects and special effects and with stunts. He felt very comfortable directing all the actors, the young and the older ones. He was a pleasure to work with." Schwarzenegger had previously revealed that the new 'Terminator' movie is going to be a return to the storytelling of the 1984 original. He said: "I think James Cameron and Tim Miller came up with a concept where they can continue on with the T-800 but make a whole new movie. What they are doing now with this one is basically to just take a few very basic characters, like Linda Hamilton's character and my character, and dismiss everything else. Just move away from all these rules of the timeline and other characters."